Saudi Arabia is building its first stadium especially designed to allow women who are currently barred from attending soccer matches because of the kingdom’s strict public gender segregation to watch games. The stadium in the Red Sea port city of Jeddah is scheduled to be completed in 2014 and will have private cabins and balconies to accommodate female spectators, according to Al Sharq, a state-owned newspaper. “Sources close the stadium said more than 15 percent of the facility will be allocated for families when the facility is fully completed in 2014. Besides families, female journalists and photographers will also be admitted into the stadium and will be allocated exclusive places away from male journalists so they can cover local and international events,” Al Sharq said. Saudi puritan interpretation of Islam prohibits unrelated men and women from mingling in public. Saudi Arabia refers to public areas for women or families as family areas in which men unaccompanied by a female relative are barred from entry. Similarly, women are denied access to areas where unaccompanied men congregate. The building of the stadium comes two months after Saudi Arabia in a bid to avoid being barred from the 2012 London Olympics agreed to send a token female equestrian to the tournament to represent a country that effectively discourages women's sports. The decision followed a warning last year by Anita DeFrantz, the chair of the International Olympic Committee's Women and Sports Commission, that Saudi Arabia alongside Qatar and Brunei could be barred if they did not send for the first time at least one female athlete to the London Olympics. An earlier agreement by Qatar, the only other country whose indigenous population are largely Wahhabis, adherents of the puritan interpretation of Islam predominant in Saudi Arabia, to field a women's team in London increased the pressure on the kingdom to follow suit. Saudi Arabia's most likely female athlete is 18-year old equestrienne Dalma Rushdi Malhas who won a bronze medal in the 2010 Singapore Youth Olympics. At the time, Ms. Malhas was not officially delegated to compete in Singapore on behalf of the kingdom. Despite official discouragement women have increasingly been pushing the envelope at times with the support of more liberal members of the ruling Al Saud family, The kingdom's toothless Shura or Advisory Council has issued regulations for women's sports clubs, but conservative religious forces often have the final say. Nonetheless the mandate granted to a Spanish consultancy last year to develop the kingdom's first national sports plan is exclusively for men's sports. The pushing of the envelope comes as women are proving to be the most visible in challenging the kingdom's gender apartheid against the backdrop of simmering discontent. Manal al-Sharif was detained in May for nine days after she videotaped herself flouting the rules by getting behind a steering wheel and driving. She was released only after signing a statement promising a that she would stop agitating for women's rights. Discrepancy about women's sports is reinforced by the fact that physical education classes are banned in state-run Saudi girl’s schools Women's games and marathons are often cancelled when more conservative members of the clergy gets wind of them. The issue of women's sport has at time sparked sharp debate with clerics condemning it as corrupting and satanic and charging that it spreads decadence. Clerics warned that running and jumping can damage a woman's hymen and ruin her chances of getting married. In defiance, women have quietly been establishing soccer and other sports teams using extensions of hospitals and health clubs as their base. Turkey's soccer federation has rejected a proposed rule change that would have prevented teams found guilty of match-fixing from being relegated in a move that counters Prime Minister Recep Tayyip Erdogan’s catering to soccer bosses and their corporate backers and plunges the country’s troubled multi-billion dollar league into an even deeper crisis. The vote during a tense emergency session of the federation’s general assembly also threatens Turkish soccer’s efforts to become more competitive. It came two weeks before the opening of a trial against 93 people, including Aziz Yildirim, president of Istanbul’s Fenerbahce SK and 14 players, in a match-fixing scandal involving eight teams that affected 19 league games last season. Despite being threatened with relegation and loss of its league title, Fenerbahce was among those opposed to a more lenient treatment of offenders. Fenerbahce has already been barred by European soccer body UEFA from Europe’s Champions League because of the match-fixing scandal. Under the proposed change of article 58 of the Turkish Football Federation’s (TFF) disciplinary code, clubs found guilt would have been spared relegation but penalized with a minimum 12-point deduction. The rejection puts the TFF at odds with UEFA which urged the association on the eve of the vote to take quick disciplinary action against those allegedly involved in the scandal. UEFA threatened to exclude Turkish clubs involved in the scandal such as Fenerbahce, Besiktas and Trabzonspor from future European competitions. Fenerbahce alongside Istanbul rival Galatasaray, which has not been implicated in the scandal, justified its opposition to the rule change with the need to wait for legal proceedings to first take their course. In a written statement from his jail cell, Mr. Yildirim called the proposal "a black stain on the history of Turkish football." Echoing Mr. Yildirim, Galatasaray chairman Unal Aysal warned that “you can't change the rules when the game is being played." The political fallout of the scandal has highlighted the battle lines in Turkey’s ruling Justice and Development Party (AKP) between Mr. Erdogan and his party comrade, President Abdullah Gul in advance of elections in 2014. Mr. Erdogan last month drove against Mr. Gul’s will a controversial bill through parliament that reduced penalties for match-fixing from a maximum 12 to three years and prepared the ground for the rejected TFF rule change. The legislative move further fuelled controversy over the match-fixing scandal. Mr. Gul opposed it, arguing that it would render the law as an insufficient deterrent. Mr. Gul said parliament’s penalty reduction would be viewed as benefitting those currently under suspicion. Mr. Erdogan is widely believed to want to succeed Mr. Gul as president when his third term as prime minister ends in 2014. For his part, Mr. Gul is believed to be weighing his options, which include returning to active politics or accepting an international job, once he steps down from his largely ceremonial post. Critics charge that Mr. Erdogan is pushing for constitutional reform in the next two years as a way to shift power from the prime minister to the president in advance of his becoming Turkey’s next head of state. Mr. Erdogan’s chances of success ride to a significant degree on Turkey’s continued economic performance. Economists however predict that economic growth in 2012 will drop from a stellar seven per cent to about three per cent as a result of its reliance for growth on foreign capital and government-backed stimulus programs, an unorthodox monetary policy and a widening current account deficit. 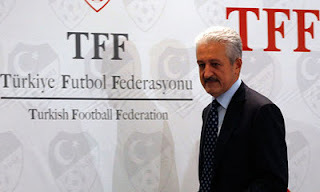 In emotional remarks TFF chairman Mehmet Ali Aydinlar responded to the rejection of the rule change, saying that at stake was the image of Turkish soccer. "We have made all efforts so that Turkish football is not harmed or loses prestige abroad. But people spoke differently to us than they did behind their backs. Everyone is innocent and only we are guilty. We came with honour and that's how we'll go. History will write the truth," Mr. Aydinlar said. If Mr. Erdogan’s political future is hitched to the economy, it is also linked to the country’s soccer performance given that the beautiful game is a reflection of the economy. Economists worry that Turkey’s imminent economic problems could result in a hard landing for its economy unless it moves quickly to streamline its monetary policy and starts focusing on reducing its macro-economic imbalances and particularly the current account deficit. Turkey got a taste of the risks it faces when this fall external funding tightened because of the global crisis and the country’s currency devalued more than had been predicted. Turkish soccer faces the same risks because it operates on the same principles, according to a sports research note issued last month by Renaissance Capital. “Turkey’s declining success in football can be mapped to economics,” the note said according to the Financial Times. Like the economy, Turkish soccer “imports almost all their best players from abroad, and exports (only) one or two good players every year” incurring high levels of debt to attract stars, the note said. It said clubs like Fenerbahce, Besiktas and Galatasaray operated as commercial companies that eschew competitiveness for profit. Renaissance Capital cautioned that buying expensive but old has-beens such as former Real Madrid stars Roberto Carlos and Gut boosts merchandising, but does not add real quality to the team. The focus on sales rather than soccer performance produces the ills many Turkish companies face: complacency and reduced competitiveness. The proof is in the pudding. Turkey’s top clubs have dominated the country’s soccer for decades but failed recently twice in a row to win the Turkish league or qualify for the Champions League. The poor performance mirrors a trend in Turkish economic development as growth shifts from the country’s economic capital to the Anatolian inland, according to Renaissance Capital. Two of Turkey’s recently most successful teams, Bursapor and TrabzonSpor, hail from the former Ottoman capital of Bursa and Trabzon on the Black Sea. The finance house pointed to a further trend in line with the economy: Bursa and Trabzon boast trade surpluses while Istanbul accounts for 60 per cent of Turkey’s trade deficit. The similarities between the economy and soccer are not absolute. In some way, Turkish soccer is more in line with its European counterparts than the economy is. Turkish soccer economics mirror those of European clubs that operate on the basis of high debt levels to import rather than export talented players. European spending on players as of Friday, two days before the Premier League player transfer window closes was down by more than half compared to the same period last year, according to Dan Jones, a partner in business advisory group Deloitte’s sports business. “Their comparative restraint is indicative of an overriding reflection on spending levels,” Mr. Jones said. The model in contrast to the Turkish clubs has often translated into performance for their European counterparts. One reason is that Turkish clubs have not seen the kind of influx of foreign investment, particularly from the Gulf, from which teams like Manchester City and Paris St. Germain have benefitted. Nonetheless, in contrast to the Turkish economy and most European clubs, Turkish soccer thanks to domestic demand has not faced problems accessing funds. The outlook for non-soccer Turkish companies is far bleaker. “Without an increase in competitiveness Turkey is trapped with manic depressive success,” Renaissance Capital said. For Turkey to maintain or restore economic growth it will have to enhance competitiveness. Turkish soccer will have to become an important soccer player exporter rather than merely an importer. BERLIN (dapd) -- Ein Fußballspiel zwischen den zwei verfeindeten ägyptischen Klubs Al-Ahly und Zamalek SC lässt keine normalen Umstände zu. Die Derbys der Kairoer Vereine werden auf neutralem Platz ausgetragen und von einem ausländischen Schiedsrichter geleitet. Zu tief geht der Riss durch die Anhängerschaften. Vor einem Jahr aber wurde die Feindschaft zur Nebensache: Die Fans beider Lager gingen am 25. Januar gemeinsam auf die Straße, um gegen das Mubarak-Regime zu demonstrieren. Besonders die beiden Ultra-Gruppierungen spielten eine bedeutende Rolle beim Aufbegehren gegen den Staat. Und der gemeinsame Kampf geht weiter. "Während der Herrschaft von Husni Mubarak war das Kairoer Derby das gewalttätigste auf der ganzen Welt. Die Polizei bildete eine Art schwarzer Stahlring um das Stadion. Die Sicherheitsvorkehrungen dort waren vergleichbar mit dem des Flughafens in Tel Aviv", erzählt James M. Dorsey, der an der Nanyang Technological University in Singapur lehrt und als Autor des Blogs "The Turbulent World of Middle East Soccer" tätig ist. Am 7. Februar treffen die berüchtigten Klubs zum ersten Mal seit der Revolution wieder aufeinander, und kein Mensch weiß, was diesmal passieren wird. Denn so wie das ganze Land ein Jahr nach dem Sturz des Präsidenten Mubarak einer noch völlig ungewissen Zukunft entgegengeht, so tut es auch der Fußball und dessen Anhängerschaft. Himmelfahrtskommando vor bis zu 100.000 Zuschauern auf sich nimmt. 2001 bekam der ägyptische Fußballverband (EFA) Absagen von sage und schreibe sechs europäischen Nationalverbänden, ehe sich der schottische Referee Kenny Clark erbarmte. Vor einem Jahr aber machten ausgerechnet die Ultras der beiden Vereine gemeinsame Sache. Laut Dorsey nahmen sie eine zentrale Rolle bei den Protesten auf dem Tahrir-Platz in Kairo ein. "Die Ultras von Al-Ahly und Zamalek haben eine Barriere der Angst niedergerissen", sagt er. "Sie haben die Frage, ob man vor Mubaraks Schergen weglaufen oder stehen bleiben soll, mit der zweiten Option beantwortet und damit ein Signal an die breite Masse gesendet." Die Ultras formten gemeinsam die Frontlinie, sie versperrten den staatlichen Sicherheitskräften die Zugänge zum Platz, indem sie Autos zu Barrikaden umfunktionierten. "Die Bedeutung der Ultras war deshalb so groß, weil sie Kampferfahrung haben. Selbst Mubaraks Sicherheitskräfte hatten großen Respekt vor ihnen", sagt Dorsey. "Es war der Hass auf Mubarak, der die Ultra-Gruppierungen vereinte." Mit dem Sturz Mubaraks war der Konflikt nicht vorbei. Die Wut der Ultras richtet sich seitdem gegen das Militär, das brutal gegen Demonstranten und Revolutionäre vorgeht. Laut Angaben der Revolutionäre wurden seit Juli vergangenen Jahres 120 Demonstranten getötet und mehr als 6.000 verletzt. Auch für dieses Jahr planen die beiden Ultra-Gruppierungen von Al-Ahly und Zamalek daher gemeinsame Aktionen. "Sie werden versuchen, die Öffentlichkeit davon zu überzeugen, wie brutal das Militär ist." Für die Ultras sind erneute Proteste schon deshalb unabdingbar, weil sämtliche Spiele vom ägyptischen Fußballverband für diese Woche abgesagt worden sind. Dorsey glaubt aber nicht, dass die Demonstrationen große Wirkung entfachen werden. Die Mehrheit der Ägypter sei des Demonstrierens müde geworden und die Protest-Bewegung der Jugendgruppen und Ultras sei marginalisiert, sagt er. Skeptisch ist Dorsey zudem, was das künftige Verhältnis der verfeindeten Kairoer Fußballklubs betrifft. "Ich würde nicht so weit gehen und behaupten, dass die Rivalität durch die gemeinsamen Proteste abgeschwächt ist." Am 7. Februar, wenn Al-Ahly und Zamalek im Liga-Derby aufeinandertreffen, wird es sich zeigen. year and wants to see tangible results of its revolt. against the military if it wanted to. trading they too will be relegated to the sidelines of history. contrived to rally public opinion against the protesters. ensure that they not only win a battle but also the war. the Middle East for over 30 years. click here to subscribe to the Centre's publications. Flush with victory in Egypt's first-post revolt election, Islamists are vowing to initiate change that militant soccer fans and youth groups have failed to achieve in a year of bloody street battles with security forces. In doing so, the Muslim Brotherhood is seeking to distinguish itself from more militant Islamists, including more radical Salafis who propagating emulating life in the 7th century at the time of the Prophet and fundamentalist Egyptian and Saudi clerics as well as the Al Qaeda-affiliated Al Shabab militia in Somalia or factions of the Taliban in Afghanistan who denounce soccer as a game of the infidels and as a distraction from the obligation to worship Allah. The dichotomy of the Islamists striving to achieve the militant soccer fans' sports-related goals while the two sides face off on the streets of Cairo is vividly on display this week as Egypt celebrates the first anniversary of the protests that last year ousted President Hosni Mubarak from 30 years in office. Egypt's military that last year temporarily took power from Mubarak with a pledge to lead the country to democracy is seeking to undercut with anniversary celebrations this week that include concerts and soccer matches the youth and soccer fan groups that were at the core of last year's revolt and are now demanding the armed forces' immediate return to the barracks. The military effort is backed by the Brotherhood. The militants have been campaigning in recent days in an unsuccessful bid to convince a public tired of political turmoil and frustrated that their revolt has produced few material benefits of the evil of the soldiers who responded increasingly brutally to their protests against the military and Mubarak era sports officials over the past year. Youth activists and soccer fans in the Cairo suburb of Heliopolis erected projector screens to show residents looking down from their balconies with little sense of engagement videos of what they see as the military's abuse of power "Why are you silent? Have you won your rights already?" the revolutionaries shouted at them in frustration. Adding insult to injury, the Brotherhood is vowing to succeed where the militants have failed. Repeatedly the soccer fans demanded unsuccessfully with few exceptions the resignations of the Mubarak appointed boards of the Egyptian Football Association (EFA) and major soccer clubs. Some supporters of sports reform take heart in the recent replacement of the Mubarak-era heads of the national sports and national youth councils. In their effort to distance themselves from the rejection of sports, and particularly soccer, by some Salafis and jihadists, Brotherhood members emphasize sport's health benefits. Some also stress the need for sports to stay in line with Islam. "We support sports in general and encourage them. Sports flourished in the age of Islam, so why shouldn’t they under the Islamists? We are looking to encourage more sporting activities nationwide. ... Islam doesn’t have any problem with soccer and other sports," Al Akhbar el-Youm newspaper quoted Brotherhood spokesman Mahmoud Ghozlan as saying. Mr. Ghozlan's statement is a far cry from a condemnation of soccer by Egyptian Salafi Sheikh Abu Ishaaq Al Huweni, an attempt by Saudi Salafi clerics to rewrite the rules of the game to allegedly Islamify it, and the outright banning of soccer by Al Shabab jihadists in Somalia. “All fun is bootless except the playing of a man with his wife, his son and his horse… Thus, if someone sits in front of the television to watch football or something like that, he will be committing bootless fun… We have to be a serious nation, not a playing nation. Stop playing,” Sheikh Al Huweni said in a religious ruling published in 2009 on YouTube. Egypt's Salafist Al Noor party, which emerged as the country's second largest after the Brotherhood, has yet to distance itself from Sheikh Al Huweini. With post-revolution Tunisia and Libya competing with new zeal in the 2012 Africa Cup of Nations, soft drink maker Coca Cola is successfully exploiting Tunisians’ passion for the beautiful game. A Coca Cola short film that in the words of Tunis-based cultural anthropologist Rodney WJ Collins writing on LinkedIn is “not only a hymn to the (Tunisian) team for its qualification for the African Cup of Nations 2012 but a testimony to Tunisian Optimism, Pride, and Solidarity.” The film has gone viral on the web with more than 59,000 shares in the past week, according to media industry magazine Campaign. The advertisement’s music has become the Tunisian national soccer team’s official anthem. The ad, by advertising agency FP7 McCann Tunisia, featuring Tunisian musical and video group Sli Lemhaf, is as much an ode to Tunisians as it is to the soccer team a year after the ousting of President Zine el Abedine Ben Ali. It speaks of forgetting the fear, a reference to the barrier of fear erected by the neo-patriarchial nature of Mr. Ben Ali’s regime, of young and old standing together and of no voice being louder than that of the public. (Text in Arabic below). The Egyptian Football Association (EFA) has delayed the 16th round of Premier League soccer matches in a bid to prevent the pitch from becoming an anti-military rallying point during this week’s celebrations of the eruption of protests a year ago that toppled President Hosni Mubarak. The delay, a year after the EFA suspended professional soccer for three months in the walk-up to and aftermath of the ousting of Mr. Mubarak, is part of a concerted effort to reduce the risk of clashes between militant, violence prone soccer fans and security forces. The military announced late Saturday that it had granted amnesty to 1,950 people, including activists and soccer fans detained during clashes in past months with security forces in a nother move designed to avert violence during the anniversary celebrations. Matches will resume on January 27, two days after the celebrations on January 25, the first of 18 days of mass anti-government protests last year that forced Mr. Mubarak to resign after 30 years in office. Egypt’s military rulers who succeeded Mr. Mubarak with a pledge to lead the country to free and fair elections see the celebrations as a means of cementing their position in advance of horse trading with the Muslim Brotherhood, which was confirmed this weekend as the winner of the country’s first Mubarak election. They hope that the celebrations will further isolate the youth and soccer fan groups or ultras – militant, highly politicized, violence-prone supporters of Cairo’s two main soccer teams that are modelled on similar groups in Italy and Serbia -- that formed the core of the anti-Mubarak protests and have since repeatedly clashed with security forces over their demand that the military return to the barracks. Revered by activist youth, the soccer fans and youth groups that spearheaded Mubarak’s overthrow have lost significant support of a public that has grown tired of the political turmoil wracking Egypt and a year later has yet to see a tangible improvement of their social and economic situation. The military continues to be popular despite its brutal response to post-Mubarak protests and many Egyptians are for now willing to give it and the Brotherhood the benefit of the doubt. The youth and soccer fan groups fear that the military and the Brotherhood, which controls about half the seats in parliament, will cut a deal under which in return for the military’s acceptance of the Islamists’ electoral victory they would support the military’s candidate for president in presidential elections scheduled for June. The postponement of the soccer matches reflects the government and the EFA’s concern that the soccer fan and youth groups will use the January 25 celebrations to press their demand for the immediate return of the military to its barracks – a demand that is strengthened by the fact that the country now has an elected parliament. The military has been reluctant to surrender power as long as its privileged political and economic position, involving exemption from civilian oversight and the maintenance of a commercial conglomerate that accounts for anywhere between 10 and 25% of Egypt’s GDP, is not guaranteed. The Brotherhood’s actions over the last year, including its support for this week’s military-led celebrations and a declared willingness to grant the military immunity, suggests that it is willing to accommodate the military despite a statement in recent days by its leader, Mohammed Badie, that the incoming parliament will scrutinize the military's budget and hold the army accountable for mistakes made during the last year’s transition. Scores have been killed, thousands wounded and thousands more dragged in front of military courts in the last year as a result of clashes between soccer fans and other youth groups and security forces. Fears of renewed clashes this week are reinforced by a growing sense that the militant soccer fans’ raison d’etre increasingly has become their deep-seated hatred of the police and the Central Security Force (CSF) rather than a political vision for the future of Egypt. “If you went to a stadium and saw how some policeman riding a horse could lash ultras members with a whip for no apparent reason, you would understand the nature of the relationship between the police and ultras groups. This terrible relationship between both sides is the result of the constant brutality ultras have long been subject to. They do hate the police and would engage with them on every possible occasion, and that’s by far justifiable considering the treatment they have been receiving,” Al Ahram Online quoted Ahmed Gafaar, a nephew of Zamalek football legend Farouk Gafaar and one of founders of the Ultras White Knights (UWK), the fan group of crowned Cairo club Al Zamalek SC. The ultras, steeled by years of almost weekly clashes with security forces in stadiums during the Mubarak era, played a key role in breaking the barrier of fear as tens of thousands of protesters poured into Cairo’s Tahrir Square in late January of last year where they stayed for 18 days until Mubarak resigned. 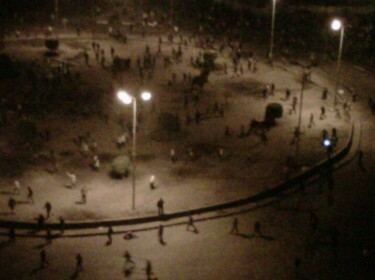 They formed the protesters’ front line when security forces and Mubarak loyalists attacked the protesters. The ultras have since Mr. Mubarak’s departure joined other youth groups in often violent anti-military clashes with security forces and were welcomed as the revolt’s shock troops by protesters being attacked by the CSF. The ultras “would step in whenever they see police forces brutalising people anywhere, whether from their own or not. They would take advantage of their experience in fighting with the CSF to stand up against them, and protect the other side,” Mr. Gafaar said. With alcohol becoming a domestic political issue in the Gulf state of Qatar, host of the 2022 World Cup, Qatari officials are certainly taking heart from world soccer body FIFA’s battle with the non-Muslim hosts of the next two tournaments, Brazil and Russia, over the role of alcohol in the world’s largest sporting events. That however may be premature. 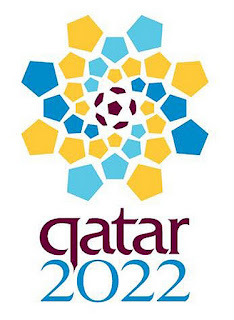 The outcome of FIFA’s dispute with Brazil, host of the 2014 World Cup, and Russia where the tournament will be held in 2018, is certain to shape the soccer body’s certainly forthcoming debate with Qatar. Unlike Qatar, which restricts the consumption and sale of alcohol on religious grounds, Brazil and Russia have outlawed its sale at sporting events in recent years in a bid to control crowds and prevents riots and violence. With FIFA insisting in the words of its General Secretary Jerome Valcke that “alcoholic drinks are part of the FIFA World Cup…that’s something we won’t negotiate” due to its obligations to sponsors that include brewer Budweiser, a compromise may already be in the making. Whatever that compromise is, it will certainly inform debate in Qatar as well as between the Gulf state whose cultural history is rooted in a puritan interpretation of Islam and FIFA. Alcohol and particularly beer battles increasingly seem to be a feature in the walk-up to a World Cup. German brewers revolted in 2006 because their beers were initially excluded until Anheuser-Busch agreed to sell local beer Bitburger alongside its own. “We’re not talking about alcohol, we’re talking about beer,” Mr. Valcke said in Brasilia, a distinction that certainly will be rejected in Qatar. Qatar-based controversial Islamic television preacher Sheikh Yusuf al-Qaradawi who commands a following of tens of millions and has a weekly show on the Gulf state’s Al Jazeera television network issued a religious edict in 2008 that Muslims could consume beverages with up to 0.5% alcohol. The ruling was however rejected by supporters of Wahhabism, the puritan version of Islam common to Qatar and Saudi Arabia even if it’s more liberal interpretation in Qatar is a far cry from its severe application in Saudi Arabia. 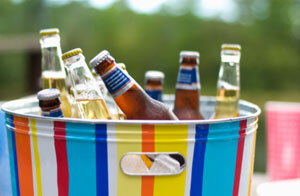 The ruling moreover doesn’t do much for beer brewers whose products have an alcohol content of more than four per cent. An emailed FIFA statement on this week’s first meeting in Brazilia of the 2014 Cup’s Local Organizing Committee made no mention of the alcohol issue, but FIFA’s insistence that Brazil overturn its ban has sparked debate in the Latin American country as officials seek to find a resolution. While some members of the Brazilian Congress and judiciary are campaigning for the ban on alcohol to remain in place, FIFA said in a statement sent to CNN that it believes that the law instituting the ban would soon be changed. "The selling of beer in stadiums is part of the fan culture and will also be part of the 2014 FIFA World Cup. It is important to note that the sale of alcohol will be limited to beer only as was done at all previous FIFA World Cups. We are confident that we will be able to solve the very few open matters and close the chapter of the 2014 Bill by March 2012, so we can then focus on the operational aspects of staging the FIFA Confederations Cup in 18 months from now and then the 2014 FIFA World Cup,” the statement said. Brazilian Minister for Sports Aldo Rebelo, speaking to CNN acknowledged that Brazil in its agreement to host the World Cup had “agreed with all the requirements… We need to move on and fasten up and I am confident that by March we can complete this," the minister said. Qatar, a controversial choice for the World Cup because of fan objections to some of its cultural mores, a lack of a soccer tradition and blistering summer temperatures, has sought to pre-empt a debate about alcohol by announcing that it would create fan zones where alcohol can be consumed. The offer has so far silenced the Gulf state’s non-Qatari critics but features in a domestic debate that recently led to a ban on alcohol in restaurants on a man-made island that is home to and frequented by expatriates. The debate has also sparked online calls for a boycott of state-owned Qatar Airways because it serves alcohol on board and operates a shop in the capital Doha that sells alcohol and pork to non-Muslims. Qatar’s drinking zone solution to the alcohol problem could well serve as a model for a compromise with Brazil and Russia. Alternatively, an agreement with the two non-Muslim nations involving a different solution could spark a revisit of the Qatari approach and fuel opposition to Emir Hamad bin Khalifa Al Thani’s efforts to position the Gulf state as a global sports hub and make sports a pillar of its national identity. In a statement, Beitar Jerusalem said that the rejection would not help the club’s management combat violence and racism and accused the IFA of wanting to harm Beitar. The rejection by a three-judge panel comes as the club known for its right-wing anti-Palestinian politics and close ties to right-wing Israeli political leader is struggling to avoid relegation, seeking to shore up its bad boy image and raise funds with an initial public offering. It also comes at a time that the club is under attack for refusing to hire an Israeli Palestinian player on racial grounds. The timing of the IFA ruling is also important to the association, which is under scrutiny in a match-fixing scandal. IFA Chairman Avi Luzon was last week the latest of scores of Israeli soccer officials to be questioned by police as part of an on-going match-fixing probe involving fraud, breach of trust and abuse of power. Police are seeking to establish whether referees were assigned to certain matches so as to influence their results. The IFA judges reaffirmed the point reduction in a 2:1 vote, with one judge, Nadia Halabi, arguing in favor of ordering the club to play matches behind closed doors to persuade its fans to change their behavior instead of penalizing it with a loss of points. In response to Beitar’s criticism, IFA officials, according to daily newspaper Ha’aretz, said repeated efforts to change the club’s fan behavior by reducing punishments meted out by the association’s disciplinary court had failed to produce results. Beitar chairman "Itzik Kornfein really should take care of business in the team before he complains about honorable judges, who make independent decisions," one official said. Beitar was sentenced to the two-point reduction after its fans shouted racist slurs against Nigerian-born international striker Toto Tamez during a match against Hapoel Tel Aviv. Beitar is Israel’s only leading club never to have signed an Israeli Arab player because of fan pressure. Maccabi striker Mohammed Ghadir recently put Beitar on the spot when he challenged the club to hire him despite its discriminatory hiring policies. Its racist outbursts have prompted the Israeli Football Association to become the Middle East’s only soccer institution to launch a campaign against racism and discrimination. A crowned club that last won Israel’s Premier League and cup championships in 2008, Beitar has been struggling since its owner, Russian billionaire Arcadi Gaydamak, stopped living up to his financial obligations. His shares were subsequently impounded following a devastating result in a Jerusalem mayoral election and a series of financial scandals that persuaded him to leave Israel. Hopes last year that Beitar would solve its financial problems and shed its racist image were dashed when the sale of the club to two American Jewish businessmen, one of whom is associated with Israel’s peace camp, fell through. The businessmen had vowed to change the behavior of Beitar fans. Beitar has since entered into talks with potential financial underwriters led by Tel Aviv-based Migdal Capital Markets, part of Israel’s largest insurance group, about taking the club public to raise $25 million. The move to take Beitar public on the Tel Aviv Stock Exchange was initiated by Beitar’s general manager and former goalkeeper, Yitzhak Kornfein. Mr. Kornfein believes that the IPO will position Beitar as a profitable business. Beitar backed out of an earlier attempt in 2000 to go public after then owner and businessman Gad Zeevi concluded that an IPO would not make the club commercially viable. FIFA pledged after that meeting to help bolster the rights of migrant workers building World Cup infrastructure in Qatar in a bid to fend off a global trade union campaign that would denounce under the slogan, 'No World Cup in Qatar without labour rights,' the Gulf state as a slave driver. The unions have given FIFA six months to ensure that Qatar meets international labour standards. Speaking at Carnegie Mellon University’s campus in the Qatari capital of Doha, Qatar 2022 Supreme Committee Secretary General Hassan Al Thawadi conceded that "major sporting events shed a spotlight on conditions in countries. There are labour issues here in the country, but Qatar is committed to reform. We will require that contractors impose a clause to ensure that international labour standards are met. Sport and football in particular, is a very powerful force. Certainly we can use it for the benefit of the region." The International Trade Union Confederations (ITUC), which represents 175 million workers in 153 countries, charged in a report earlier this year that the working conditions of migrant workers in Qatar and the United Arab Emirates were "inhuman." A recent Lebanese-Syrian Asia Cup qualifier serves as an ironic barometer of troubled relations between the two countries seeking to chart their individual futures as well as that of their uneasy relationship. Soldiers armed with machine guns controlled the entrances to the Rafik Hariri Stadium where the match was being played in the southern Lebanese city of Sidon named after a prime minister who was assassinated in 2005 allegedly with tacit Syrian complicity if not active participation. A United Nations tribunal last year indicted four members of Syria’s foremost Lebanese ally, Shiite militia Hezbollah, on charges of killing Mr. Hariri in a massive car bombing. Both Syria and Hezbollah have repeatedly denied involvement in the death of Mr. Hariri. The killing of Mr. Hariri sparked massive anti-Syrian demonstrations that forced Damascus to withdraw its troops after 30 years from Lebanon. It also paved the way for the formal establishment of diplomatic relations between the two countries after Syria dropped its refusal to formally recognize Lebanon as an independent state rather than a part of Greater Syria. Syria accredited Lebanon’s first ambassador to Damascus days before the match and welcomed a rare visit to Damascus by the Lebanese defence minister Elias Murr, who blames a failed 2005 attempt on his life on Syrian intelligence. The massive security operation in a stadium bereft of spectators reflected the near civil war in Syria where a brutal government crackdown has failed to repress a ten month-old popular uprising against the regime of President Bashar al-Assad as well as the ripples of the revolt in Lebanon as a result of Hezbollah’s unqualified support for the Syrian leader. 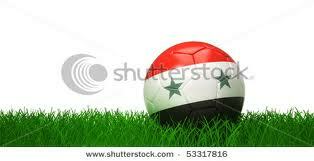 Nevertheless, the very fact that Syria allowed its national team to travel abroad and that the match was the first in many years to be played on Lebanese soil rather than on neutral ground elsewhere in the Middle East speaks volumes about Syria’s relationship with Lebanon, one of only three Arab League countries to have voted against sanctioning the Assad regime for its brutality. More than 5,000 people are believed to have died in Syria since the uprising began in March of last year. The fact that Syria allowed its national soccer team to Lebanon contrasts starkly with Syria’s refusal late last year to participate in the Arab Games in Bahrain for fear that some of its athletes might defect and confidence that Lebanon would not welcome any player seeking asylum. Only two Syrian soccer players – national Under-23 goalkeeper and music composer Abd al Basset Saroot, a leader in the rebel stronghold of Homs, and national team goalkeeper Mosab Balhous who reportedly has been incarcerated since August on charges of sheltering armed gangs and possessing suspicious amounts of money – are known to have joined the revolt against Mr. Assad’s regime. Syria placed its confidence in Lebanon despite deep-seated distrust between the two countries spilling regularly onto the soccer pitch. Suggesting that the Assad regime was so desperate for a victory in a bid to shore up its tarnished image, Lebanon accused Syria in November of fielding six players in an Under-19 Asian Football Championship qualifier whose ages had been falsified to qualify them for the team. The incident came two months after world soccer body FIFA barred Syria from competing for the 2014 World Cup in Brazil after the country’s national team fielded an unnamed ineligible player in a qualifying match against Tajikistan. Syria, despite beating Lebanon 2:0 in this week’s Asia Cup qualifier, attacked Lebanon for its lack of hospitality and for having caused eight Syrian players to have food poisoning. "We were treated with intentional carelessness by our hosts. There is no excuse for it, and brotherly countries should not be dealt in that way," Syrian Football Association executive Bahaa al-Omary told the BBC. The Syrian defeat of Lebanon put paid to a rare moment of Lebanese unit sparked in a country where almost every facet of life is defined by its sectarian fault lines by the Lebanese team’s defeat in December of South Korea in a 2014 World Cup qualifier. The estimated 60,000 fans in Beirut’s Cite Sportive stadium shifted from sectarian chants to egging on their team with roars of “Minshan Allah, Libnan yallah” – “For God’s Sake, Lebanon Come On” – as soon as the Lebanese scored their first goal. “Politics came into football and destroyed it,” said Rahif Alameh, secretary-general of the Lebanese Football Association, who dates the “death of football” to 2001, the year when the government intervened in a murky match-fixing scandal rather than the 2005 ban on fans. That was when Lebanon’s political-religious leaders began treating the association as a pie to be carved up, just as they share power among Muslim and Christian communities. Mr. Hariri, for example, sponsored several clubs and bought Nejmeh soccer club, Lebanon’s most popular team, which was largely cross-sectarian, but had always attracted much Shiite support. Mr. Hariri initially ventured into sports as a moneymaking venture, but later turned his teams into vehicles for consolidating his Sunni Muslim support. Similarly, virtually every Lebanese soccer club is identified in sectarian and political terms — Maronite Christian, Sunni, Shiite, Druze or Armenian with certain political factions — even if the team’s players are religiously mixed. “Football had just (become an extension) of politics. Everything in Lebanon is politicized, the air we breathe is politicized,” The Associated Press quoted Mr. Alameh as saying.